I was helping my aunt today because she will be having a birthday party for his son in school. We prepared fruit salad, cupcakes, ham rolls and everyone’s favorite — spaghetti. While cooking, I was wondering why Filipino kids love to eat spaghetti? 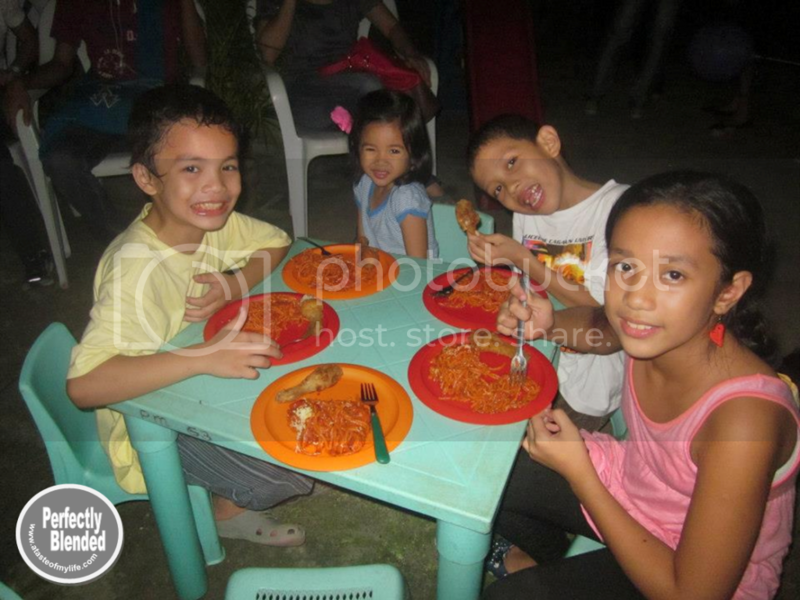 They never get tired of eating it and it is the most requested food in children’s parties and other kid’s events. The most common spaghetti that is served during birthday parties is the Filipino Style Spaghetti, which is sweet and has lots of hot dogs and cheese. This must be the reason why kids love it so much. What do you think?